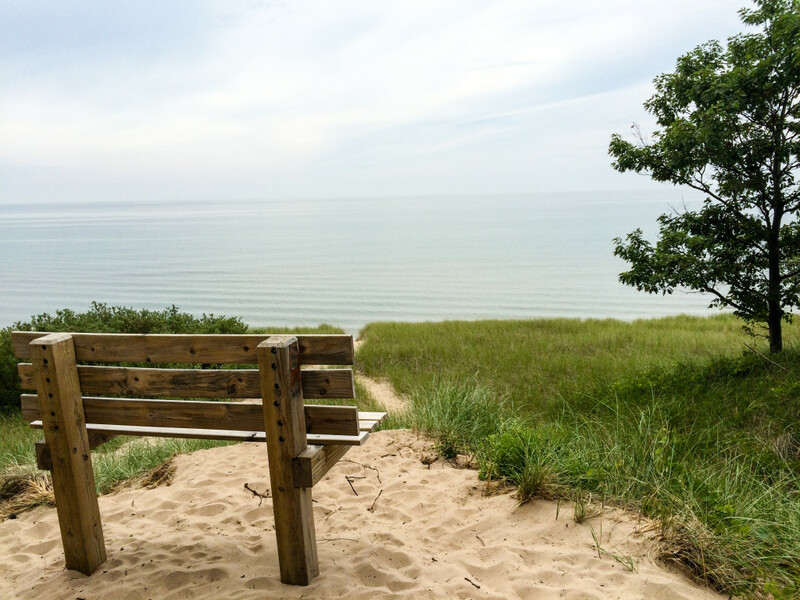 Located along the Lake Michigan shore, Saugatuck charms its visitors with beautiful beaches, sand dunes, and an adorable waterfront downtown of boutique shops, local restaurants, and art galleries. 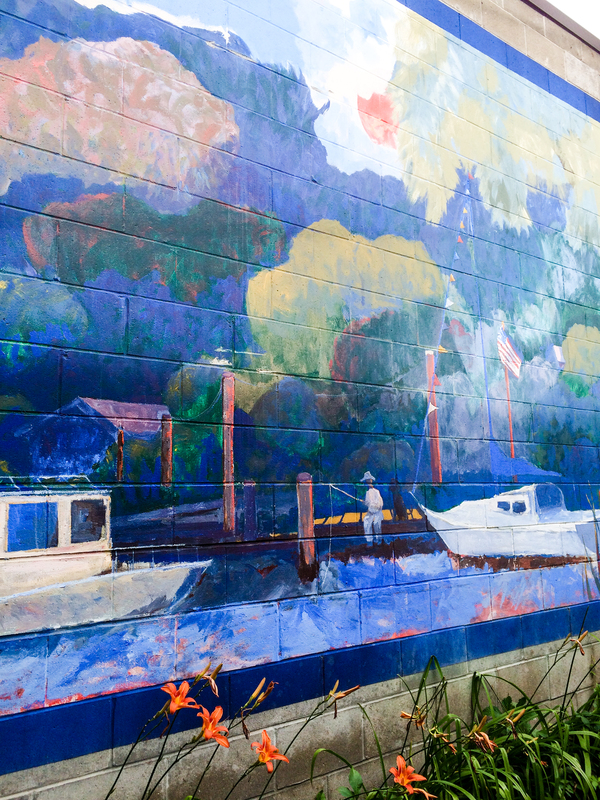 It is a destination for art lovers, foodies, boaters, and anyone easily delighted by the quaintness of a small beach town. Known for its bed and breakfasts, this West Michigan town is a serene setting for a weekend getaway. 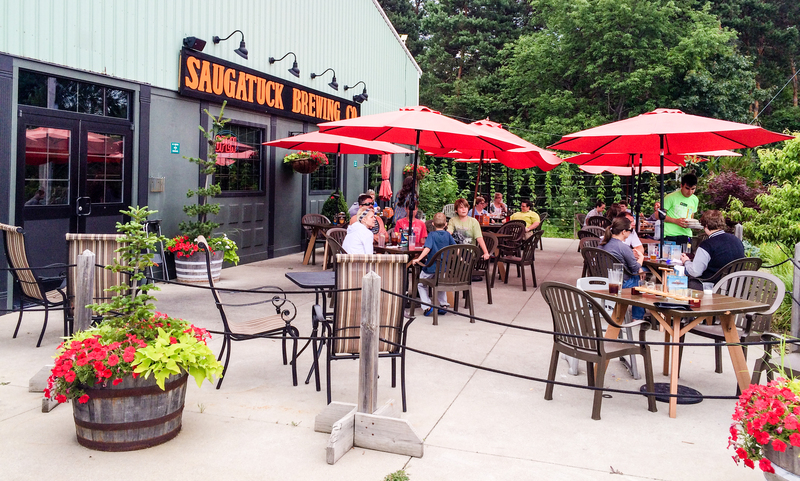 Coming from the Detroit or Chicago area, Saugatuck is a 2-3 hour drive. Located about 40 miles southwest of Grand Rapids, it’s an ideal day trip destination from my home. During my trip, I discovered four fun ways to spend a day in Saugatuck. 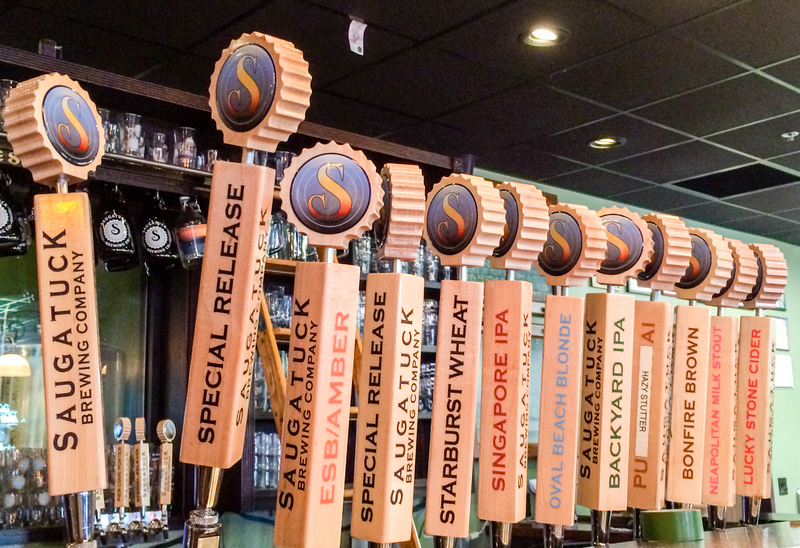 It was lunch time as I arrived in Saugatuck, and I remembered that Saugatuck has a brewery. 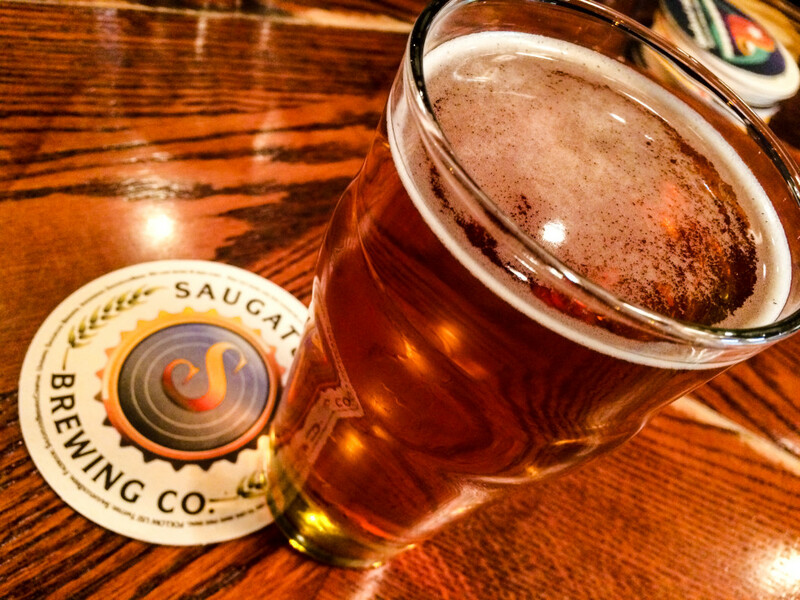 Conveniently located on Blue Star Highway, the main road off of I-196, Saugatuck Brewing Co. was pretty easy to find. If you happen to miss the sign, just look for the huge antique store that shares the parking lot. The brewery has an outdoor patio — perfect for sipping craft beer under an umbrella on a warm day. After tasting an IPA and realizing it was too early in the day for all the hops, I decided a lighter beer was in order. The Oval Beach Blonde, named after one of the local beaches, hit the spot. It was light, crisp and refreshing. Aptly named, it’s the kind of beer you’d drink on a beach. SBC’s menu features some intriguing dishes. I’d love to go back to try the cashew crusted brie appetizer, a soft pretzel served with spicy mustard, all of the “pub pie” pizzas, and the grilled steak and artichoke salad. The menu features a variety of sandwiches, salads, pizzas and pub fare like fish & chips and a fabulous-sounding pub platter of charcuterie, white cheddar, and accoutrements. Doesn’t it all sound delicious? 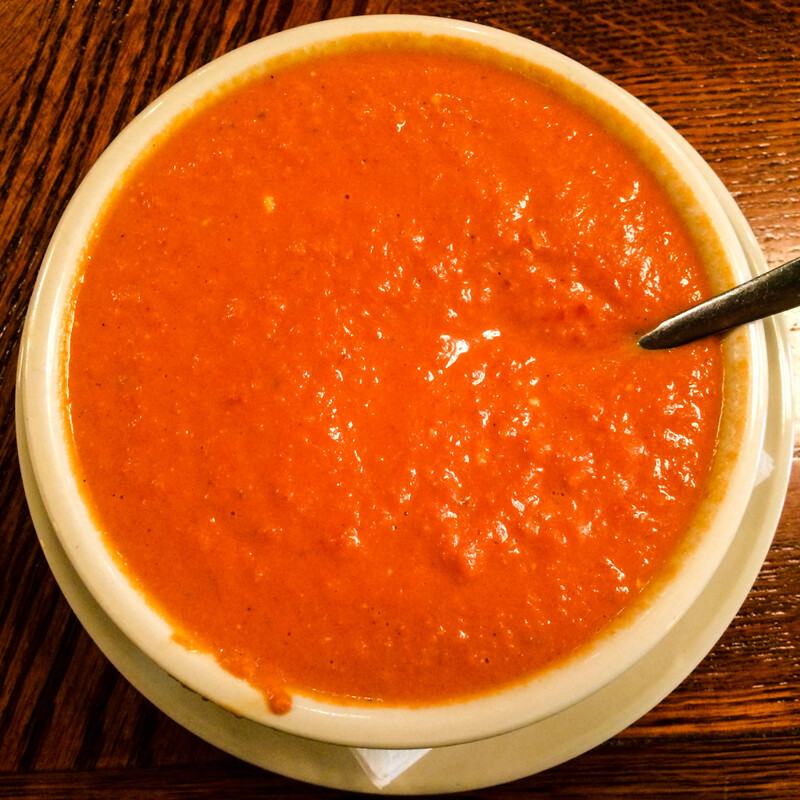 The bowl of tasty roasted red pepper Gorgonzola bisque I ate was filling. I’m so glad the day I wound up in Saugatuck was cool for July — only reaching the high 60s — so I could enjoy this soup. I highly recommend adding a cup to your meal. I know I will when I visit again. After that delicious lunch, it was time for a workout. I thought I might cycle along a bike trail I had found on my TrailLink app. 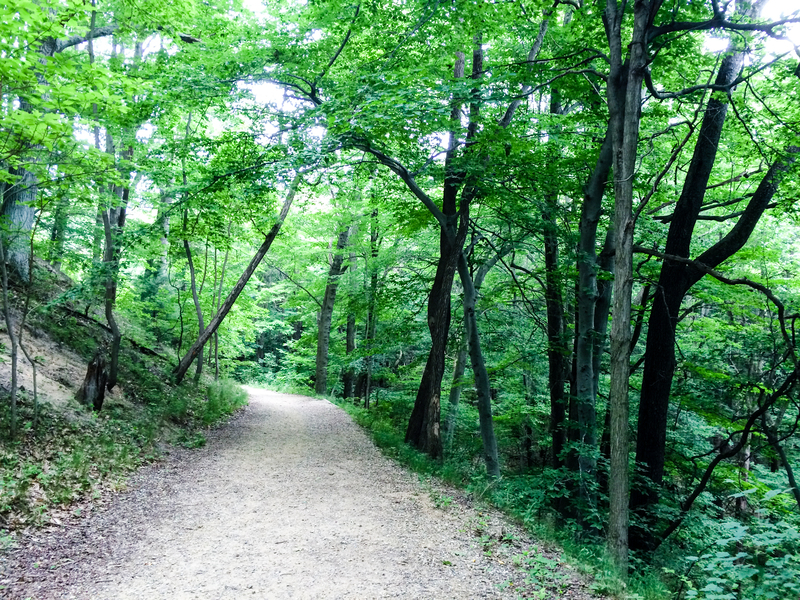 If you are interested in biking, you could park your car at the state park, bike back out of the park, hang a left onto 138th Ave, and follow that to Beeline Road, where you’ll pick up the Beeline Trail to Holland. It’s about a 16-mile ride round trip. Once I got to the park, I decided to forgo my biking plan to hike to the beach instead. The beach trail is just under a mile from the parking lot to the shore. Looking at the route on my MapMyFitness app, I noticed the trail took me up and down in elevation. It wasn’t a strenuous trail, but do not go into the trek to the beach thinking it will be a flat cakewalk, especially if you are carrying a beach bag and/or cooler. 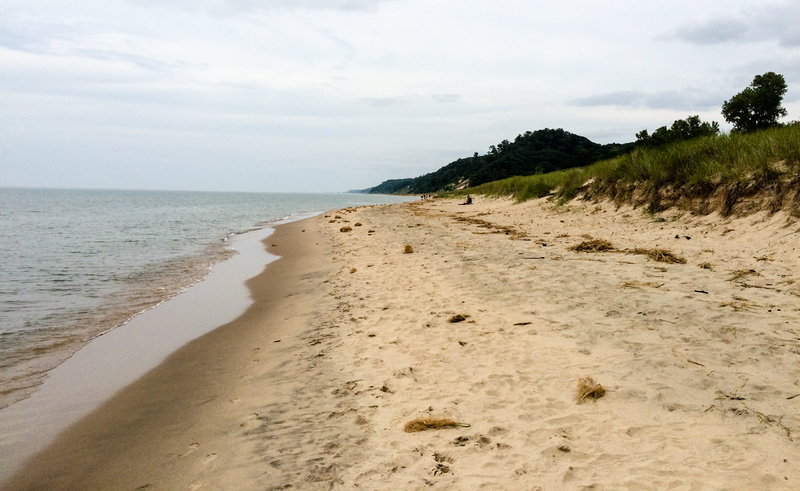 The reward for your effort getting there: Upon arriving at the beach, you can run down a mini dune straight into Lake Michigan. The beach wasn’t crowded when I visited. 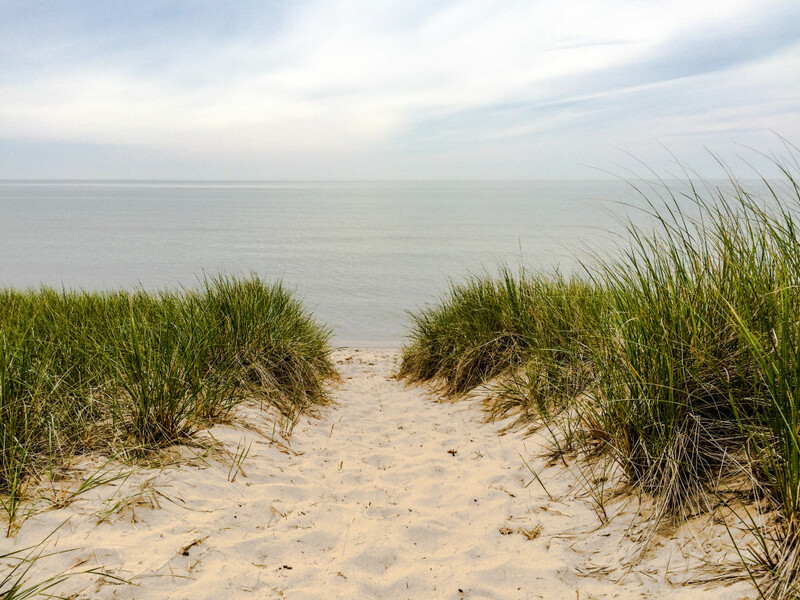 I had a peaceful walk along the shore, and then I spent some time relaxing atop a small dune, looking out to the Great Lake. During my hike back to the parking lot, I passed by the park’s disc golf course. I also spotted the Felt Mansion, a sprawling 1920s summer house turned Catholic prep school turned Michigan State Police office. Now it’s an event space that hosts a summer concert series and weddings. The Felt estate is also open for public tours. 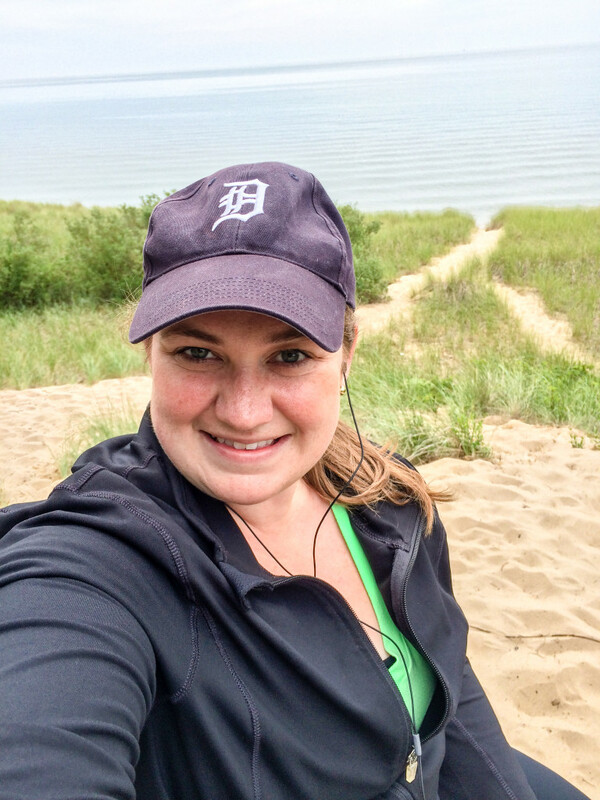 Michigan requires the Recreation Passport to visit state parks. For Michigan residents, you pay for it when you renew your vehicle registration, or you can go to a Secretary of State’s office to add it. If you don’t have one when you arrive to a state park, you can purchase a sticker. When I purchased my Recreation Passport in 2015, it cost $11. Out of state visitors can purchase a Recreation Passport for $31 online, or an annual or daily pass at the state parks. At this point, I thought I’d drive through Saugatuck’s downtown to scope it out for future day trips or a weekend getaway. People were strolling from art gallery to boutique shop to local bar and grill to their sailboats docked at the marina. Cars were parked in every spot along every street. In a word, Saugatuck was bustling. Yet also quaint and charming. 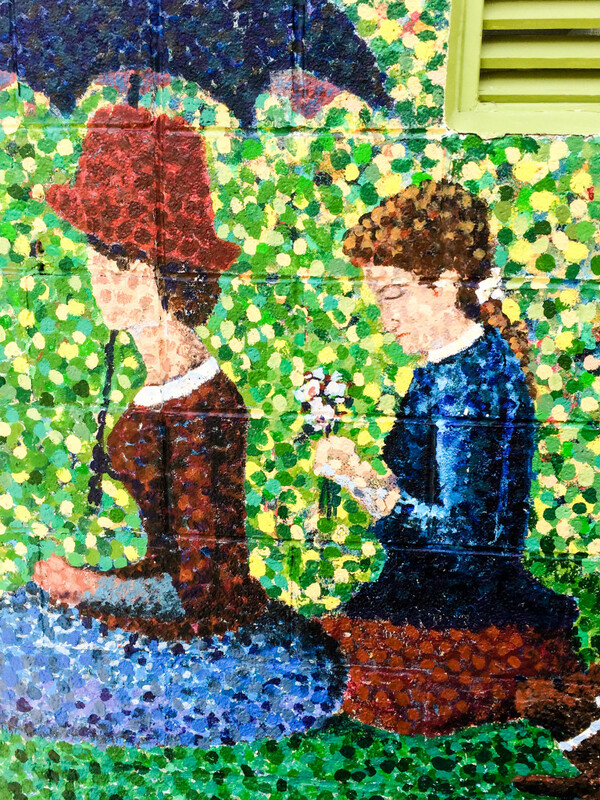 I lucked into a fantastic parking spot right in front of the above mural at the waterfront Wicks Park. 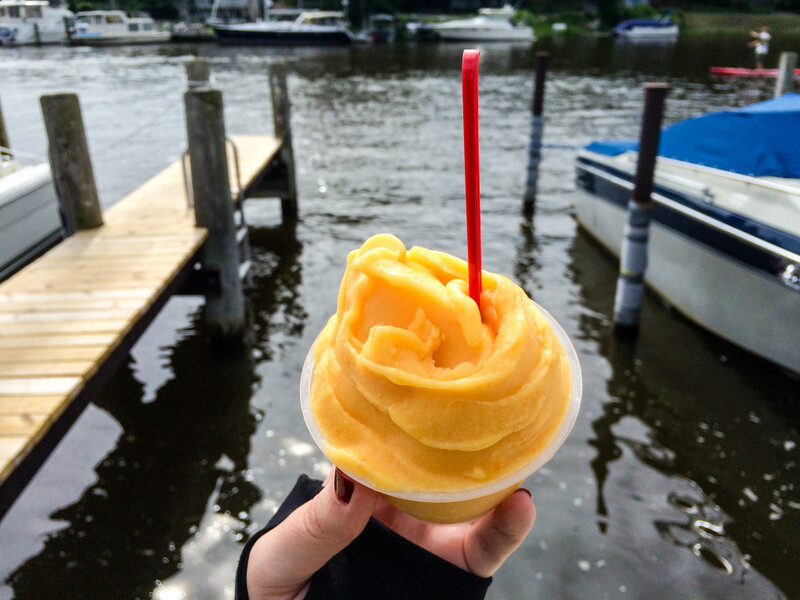 Wandering around Saugatuck’s business district, I enjoyed a refreshing mango papaya sorbet from Saugatuck Tea Café as I strolled the waterfront. I watched sailboats head out to Kalamazoo Lake and kayakers making their way down the Kalamazoo River. I spoke with a local artist who creates brightly colored ceramic pieces for sale at his downtown gallery. I tasted Tabor Hill wines, and walked away from the winery’s tasting room with a bottle of Rosé. I found another ornament to decorate my travel-themed Christmas tree at Tuck’s The Christmas Shop and added to my Michigan hoodie collection at Harborwear. Basically, I was just trying to find any way I could to justify staying in town for dinner. I’m so pleased I stayed in Saugatuck for dinner. Driving into town earlier, I had noticed this pizzeria where folks were dining outside. The casual pizza parlor didn’t have a wait for a table. I’ve heard excellent things about Marro’s Italian Restaurant on Water Street, but when I walked by I overheard there was an hour-long wait. 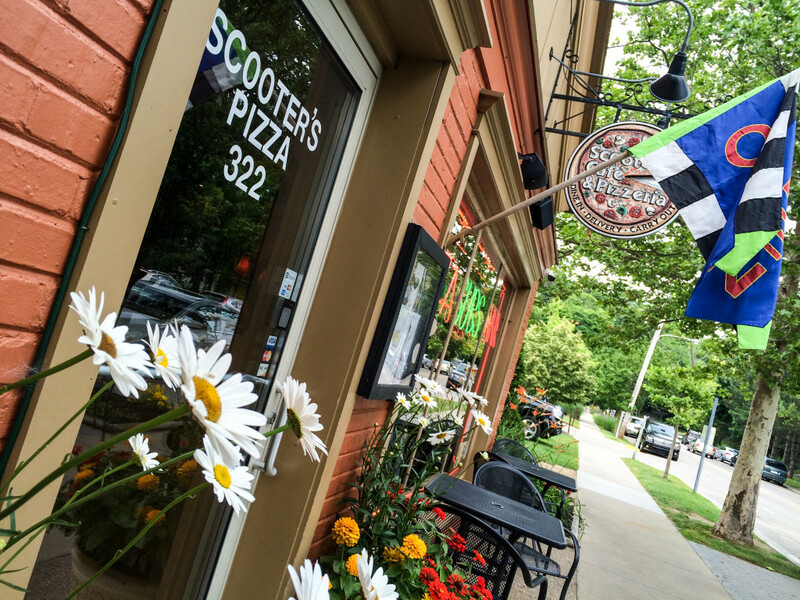 If you have a taste for pizza but want fast service, I’d recommend walking a few more blocks to Scooter’s. It’s much more casual, but the pizza was scrumptious. 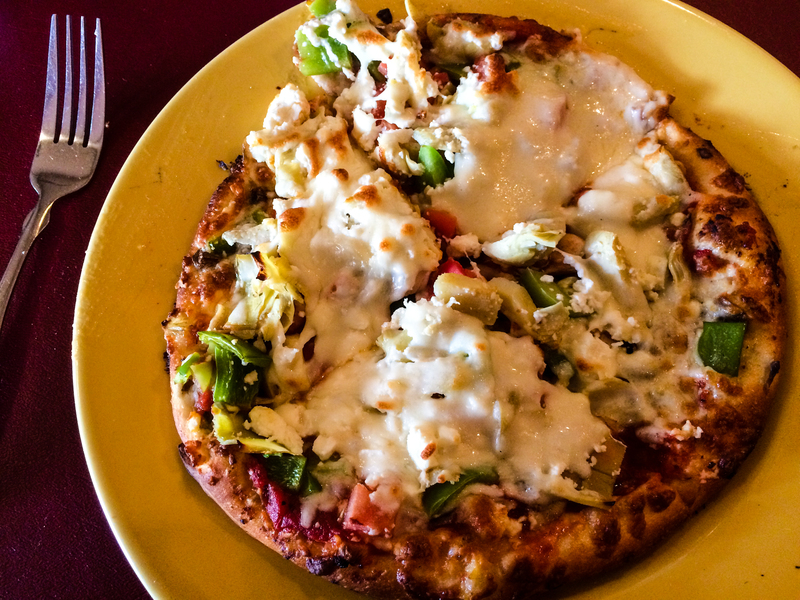 The vegetarian pizza I ordered was topped with artichoke hearts, tomato, green pepper, mushrooms, and feta cheese. Plus mozzarella cheese was melted over the toppings. I was pleasantly surprised by how delicious this pizza was. The menu features 11 specialty pizzas, create-your-own hand-tossed pies, salads, subs, wraps, sandwiches and a selection of other entrees and appetizers. Three other things I liked about Scooter’s: 1. My server was super friendly. 2. The cafe uses Square for payment, so your receipt is conveniently emailed to you. 3. The restaurant offers take out and delivery. Keep that in mind if you need some pizza delivered to your B&B during your getaway since I know you now want to visit Saugatuck, too! The Amble Inn is a charming and rustic log-cabin bed & breakfast in Fennville, just south of Douglas and only a minute drive from Saugatuck Brewing Company. Offering five guest rooms, the Amble Inn is quiet and cozy — perfect for a relaxing escape from the city. Despite its vintage feel, the B&B offers modern amenities in each room including a coffeemaker, mini fridge, microwave, and flatscreen TV with cable. When I was hosted by owners Jeff and Anne in June 2018, I loved sitting on my private patio and eating Jeff’s savory breakfast, served at 9 a.m. each morning in the barn. The Amble Inn is located at 2790 Blue Star Highway, just off of Exit 36 on I-196. To make reservations, call 269-455-5566 and mention you heard about them on The Epicurean Traveler. Want more information? Check out other visitors’ reviews on TripAdvisor! The Amble Inn has a 5.0 rating as of July 2018. The Kirby is a four-star boutique hotel in a 1890s Victorian house in Douglas. Ideal for a romantic getaway, the Kirby also offers a fantastic restaurant with alfresco dining, wine bar, and beautiful wrap-around porch. Rated 4.5 by TripAdvisor users, former guests have raved about the service, friendly staff, and delicious meals at J. Paul’s Restaurant. I had the pleasure of dining there in June 2018, and the food, wine, ambiance, and service were all top notch. The Kirby is located at 294 West Center Street in Douglas. You can make reservations by calling 269-857-5472. Ask for Mindy, and let her know you learned about the Kirby on The Epicurean Traveler. This section contains some affiliate links. As a TripAdvisor partner, I may earn a small commission when you click on one of those links. Of course, this is at no cost to you. As always, I only recommend hotels and B&Bs where I have or would stay myself. Save this post to Pinterest for future trip planning! 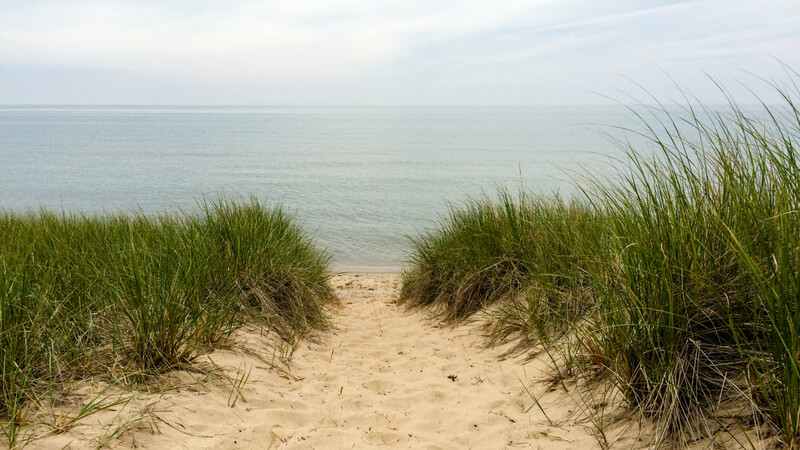 What are your favorite things to do in Saugatuck? I’m bookmarking ALL of these now lol. Thank you! You are very welcome, Liz! I was just in Saugatuck again last week. So, I’d add wine tasting at Fenn Valley, olive oil and vinegar tasting at the Olive Mill, and ice cream from Charlie’s Round the Corner in downtown Saugatuck. If you like craft beer, definitely check out the brewery. 🙂 Love visiting Saugatuck, it’s a quick 15-20 minutes from our house in Holland and it’s always so much fun to walk along the boardwalk and look at all the fancy yachts!! They have a pretty great Art in the Park craft fair each year that’s really nice too if crazy busy! I really enjoy art and craft fairs, so I hope to check that out. Do you know when it is usually held?